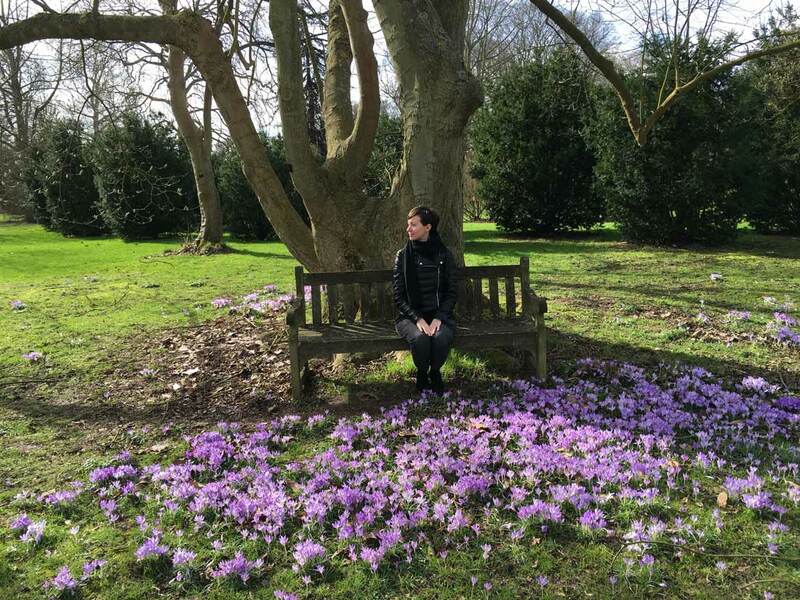 Those who follow me know that I live in London, but not everyone knows that I am from Bergamo, a city thirty minutes drive from Milan, and easily reachable thanks to the airport of Milan Orio al Serio. 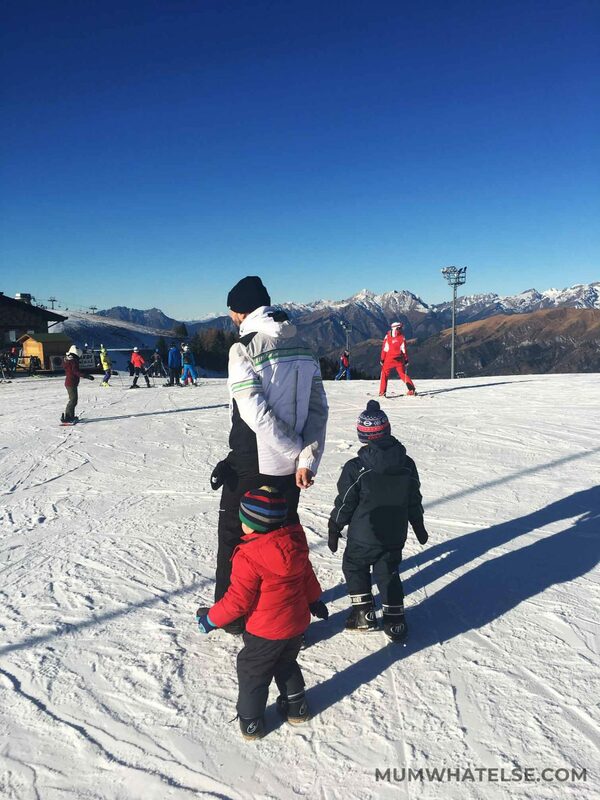 My first steps in the snow and where I learnt to ski is in the Presolana mountains, so today I want to talk about where I took my children for the first time to touch the snow and try to ski in these Italian holidays. I consider it an ideal destination for those who want to approach the ski for the first time. We are in the pre-Alps Orobie, in the ski area Presolana Monte Pora, a massif of 1880m which can be reached from the town Castione della Presolana in just ten minutes. We are in the Alta Val Seriana, which is an hour’s drive from Bergamo and less than two hours far from Milan. It is a perfect destination for a weekend, because of the distances that can be easily tolerated even with small children. 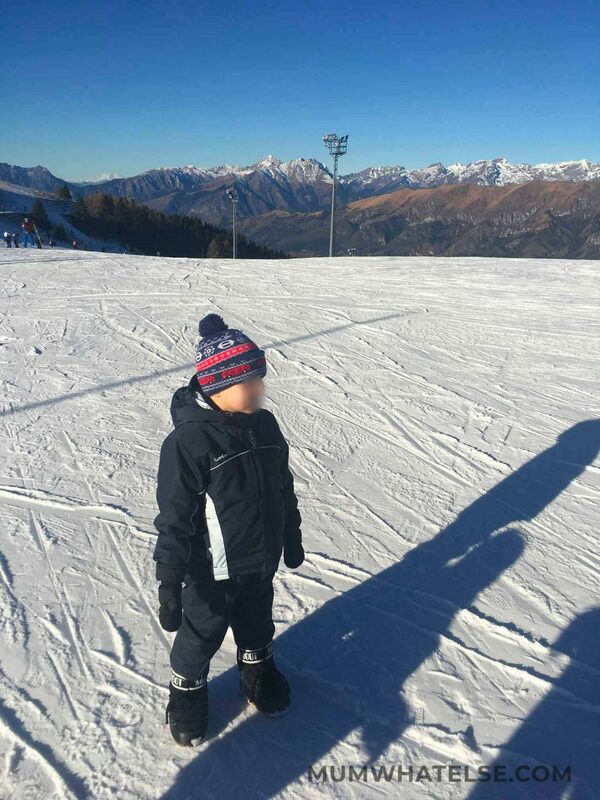 We often visit Castione and Presolana mountains also in summer, and in winter offers easy slopes, skiing school for children, a skiing area with 30 km of slopes for any levels. 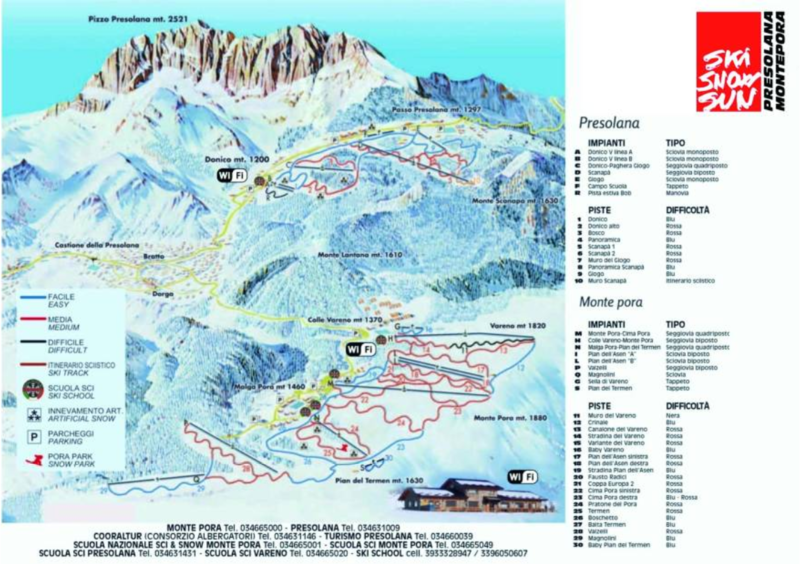 A single ski pass allows you to use the facilities of Presolana and Monte Pora. Both are located in the Council of the town Castione della Presolana (BG). 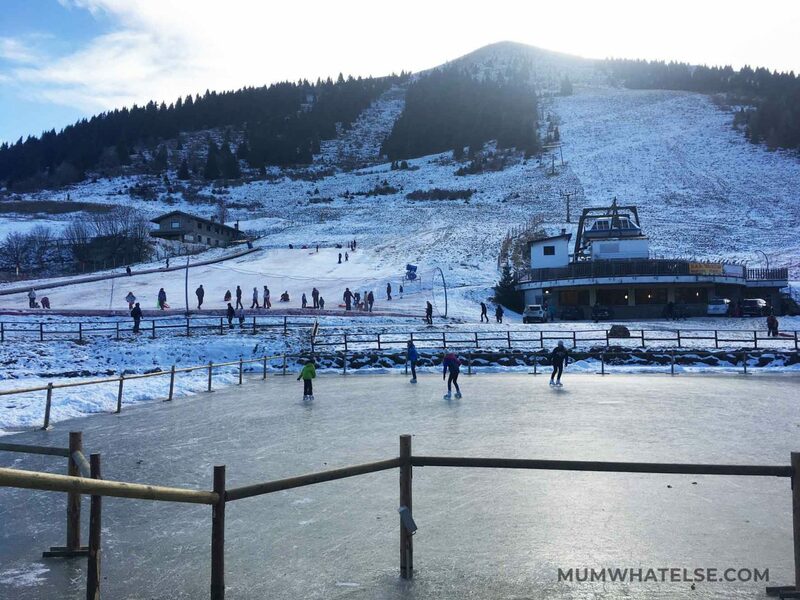 The area includes about 30 km of large and sunny slopes and is located at an altitude between 1,200 and 1,630 m, suitable also for less experienced skiers. From the town Castione della Presolana, you drive 15 minutes to reach the parking area of Malga Alta. The chairlift that takes you to the Termen hut, where there is the skiing school, is the second you see once you reach the top of Mount Pora. Here you will find the ticket office to buy the Skipass. If you are not skiing, you can just take the chairlift, with a single round ticket. There are also several rental shops and some bars around here. The chairlift will leave you close to the Termen hut, so you can take it even if you don’t ski. 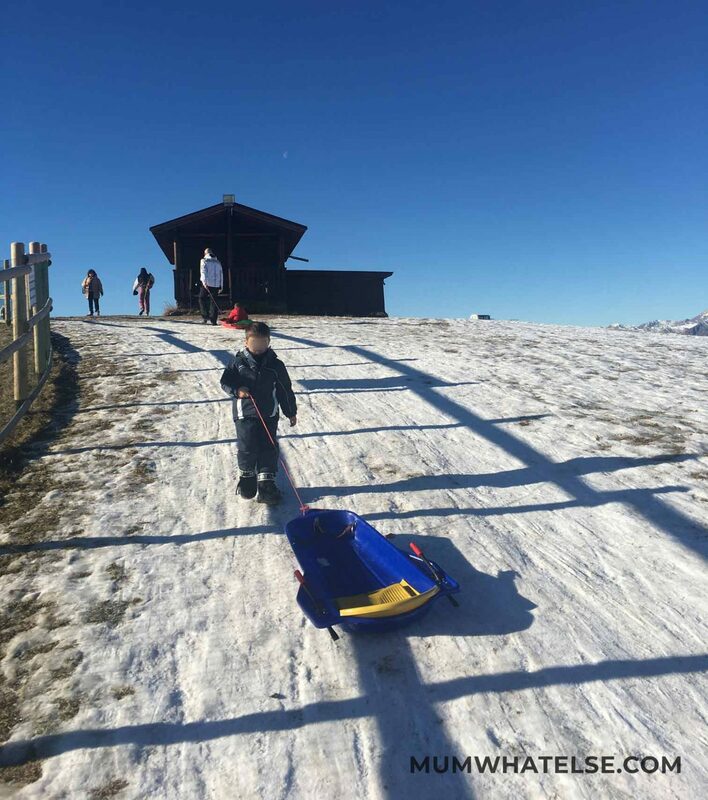 It is convenient even if you have small children, and you can also bring the stroller and made him travel by chairlift (at no cost). We had lunch here, there is a self service with typical dishes. You can also rent directly the sledding to have a little fun and sun loungers for sunbathing. 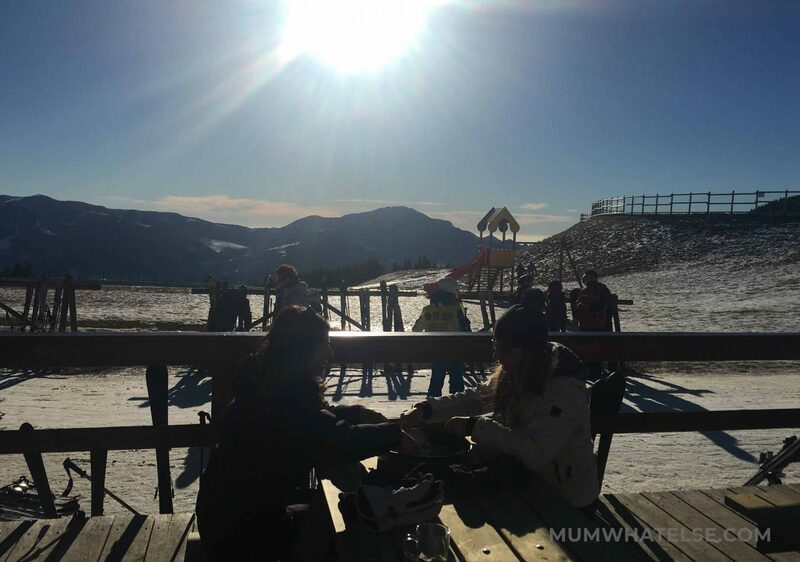 One of the features of Monte Pora is to be sunny all through day. 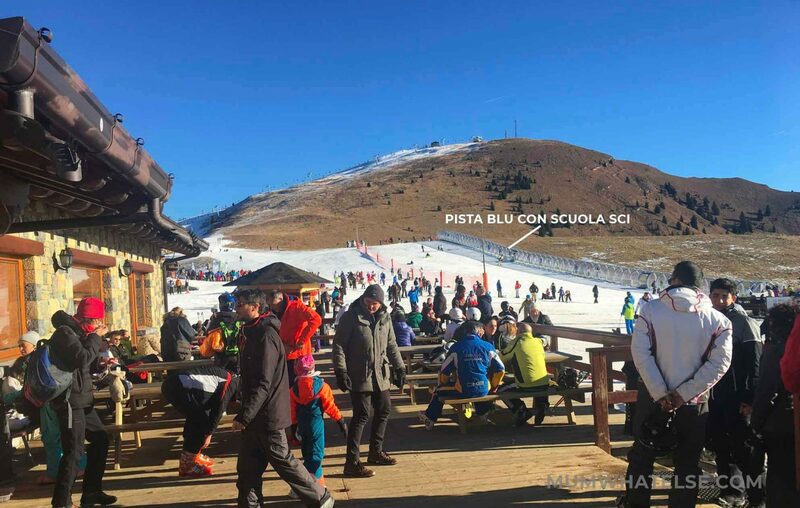 The ski school for kids is located right here: the easy blue track is suitable for learning and it is located right in front of the hut, where you can comfortably stay. At the hut you can rent sleighs (cost 8 €/day) to make the day even more enjoyable. If it is the first time that you ski, I would say not to buy all the equipment. It is better to try a couple of days and hire skis and boots. 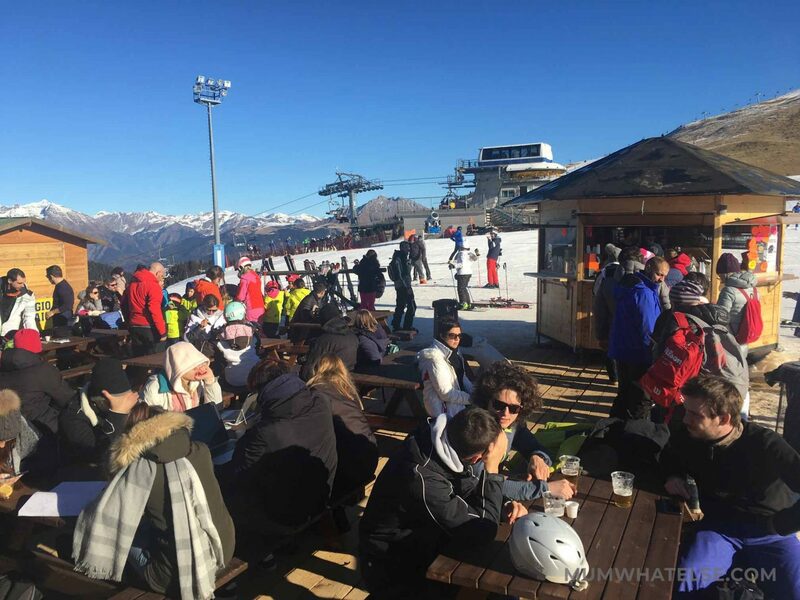 You will find several ski rental shops, both in Malga Alta and Castione della Presolana. We had everything, however consider spending between € 20-30 per day for a complete equipment. Find all the information about the prices here. Ski and Snowboard School Monte Pora Pora and National Ski school Monte Pora in Malga Alta. The courses for groups with the ski instructor are held on Saturdays and Sundays throughout the year. In the period of high season, there are courses every day. The course usually lasts two or three hours during the morning. In the mountains with snow is worth the principle of the layers. A second leather jersey in contact with the body, a thermal T-shirt, the suit or the overalls with windbreaker. I suggest the dungarees, as the kids roll and fall in the snow continuously to keep them warm. Also tights, socks for skis (which are warmer and thicker) and boots or Moon Boot. It is very important to have the helmet, also because it will keep the head warm and according to the thermal principle, to warm hands and feet, the head must be warm. We already had several things, but Decathlon has lots of things on a budget. It depends on what kind of experience you want to do. 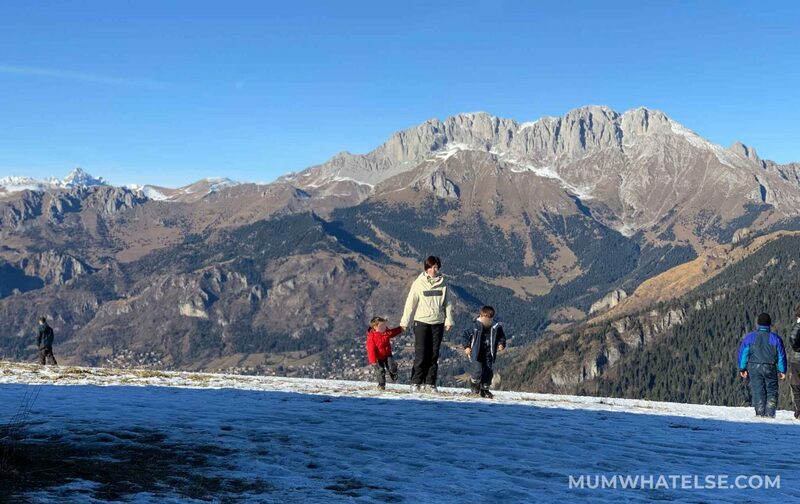 If you would like to fully dive into a mountain retreat, then I suggest you to look for an accomodation at Colle Vareno or Malga Alta where there are several holiday houses for rent. On New Year’s Eve you can admire the torchlight on the snow, with skiers descending at night! If you want to have the comfort of a hotel and go out in the evening in Castione della Presolana, which is a very pretty town, then I recommend Bratto. As for the food, I recommend La Lantern for the best pizza in town (booking is required) or the Risol restaurant for the food from the land cuisine. You can reach Presolana from Milan, motorway exit Bergamo, and then follow the directions for Valle Seriana. If not ski equipped, you can still reach the top of Monte Pora from the chairlift. Take the second one you meet along the way, that will leave you close to the Termen hut. 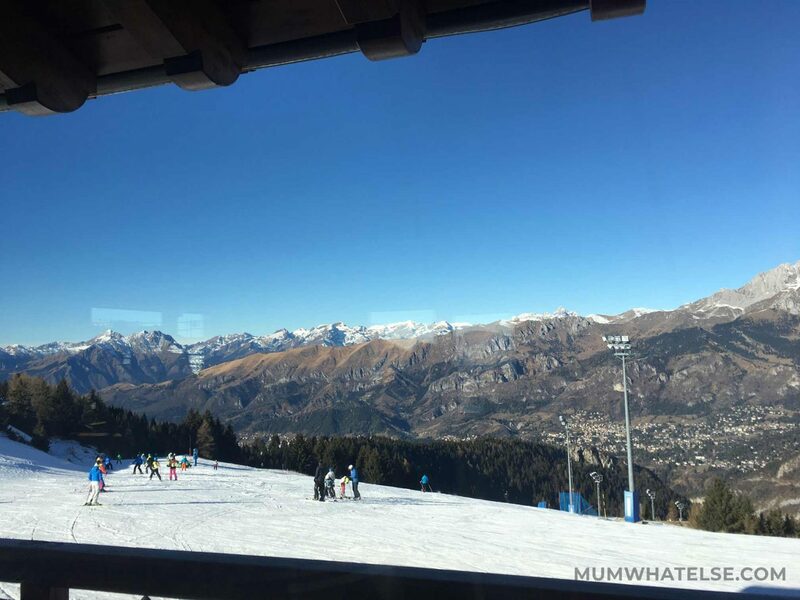 The daily Ski Pass costs €36 for adult, €26 for children (over 9 years old) and €18 for under 9 years old. Only 3-hour pass is also available. At the Presolana Pass in Donico, there are also slopes suitable for beginners. 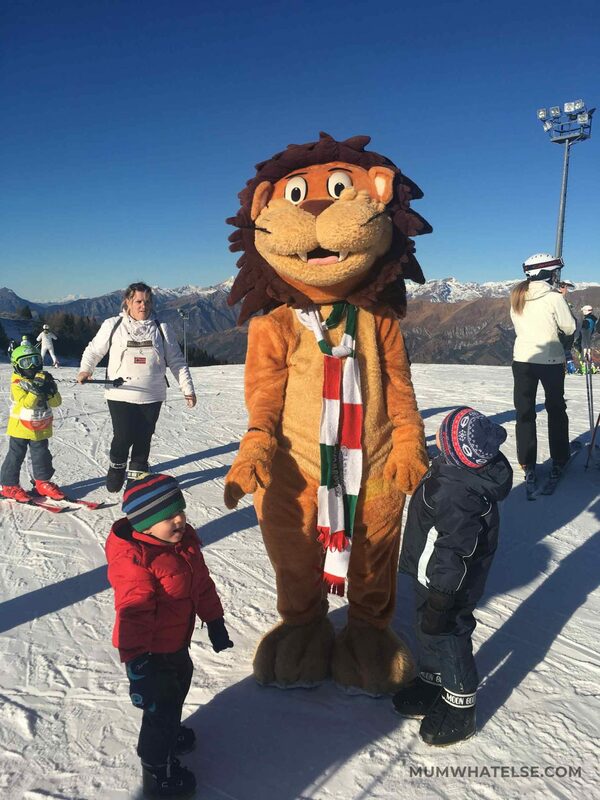 It is the first center in Lombardy for the teaching of skiing for physically handicapped. For cross-country skiers, the Presolana-Vareno cross country ski run at an altitude of 1300 m, has a 6 km ring. 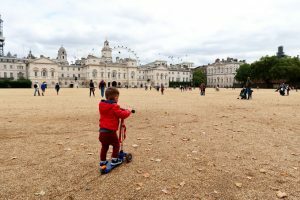 There is also a sleigh slope and a skating rink. 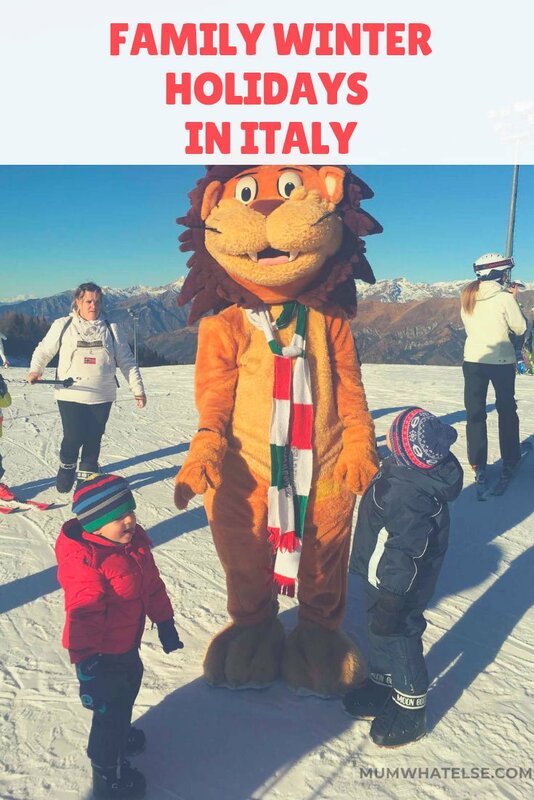 I have never skied in Italy, It sounds charming and perfect for little feet to become accustomed to the snow. 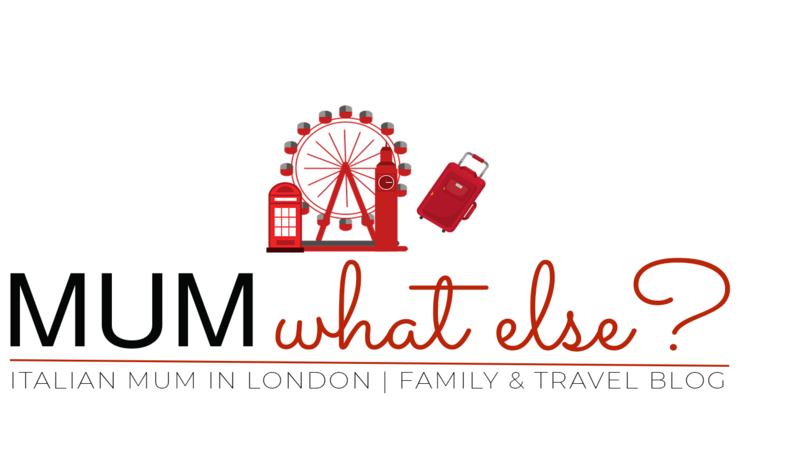 Being so close to Milan, a great combination for a little culture as well! 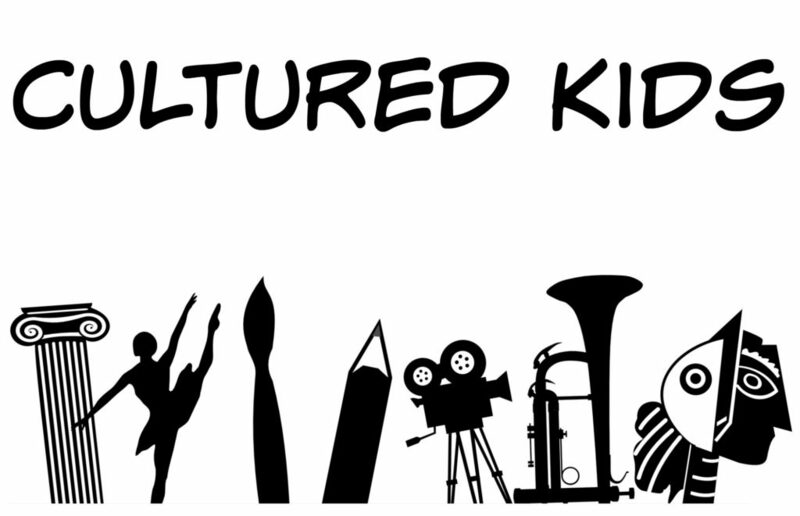 Thanks for linking up with #CULTUREDkids, Fran! It looks a lovely place for first steps on the snow and in fact any inexperienced skiiers. Plus I love the sound of sun all day! Anche noi adoriamo sciare,sempre in Lombardia,ma al monte Pora in inverno non siamo mai saliti. Bergamo is my birth city however I believe it’s really gorgeous as you said 🙂 Happy to know you find these tips useful!